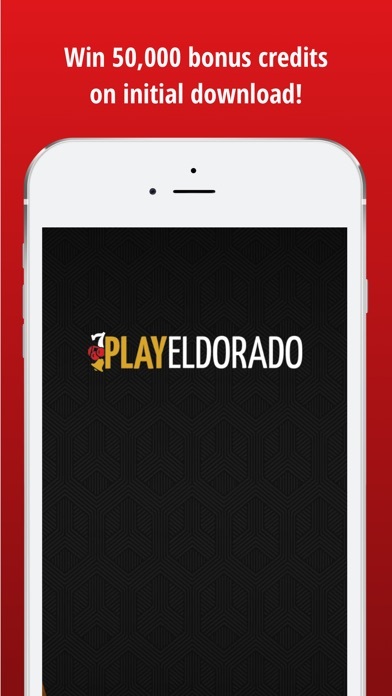 The official app for Eldorado Reno, Silver Legacy, Circus Circus Reno, Eldorado Shreveport, Scioto Downs, Mountaineer Resort and Presque Isle Downs. 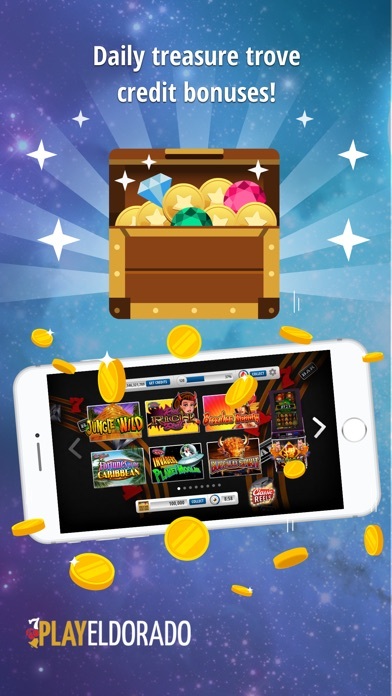 Play casino game for free, find special events and discover exclusive special offers at all seven locations! Features Include: YOUR FAVORITE CASINOS AND RESORTS Find information, reservations and offers from Eldorado Reno, Silver Legacy, Circus Circus Reno, Eldorado Shreveport, Scioto Downs, Mountaineer Resort and Presque Isle Downs. CASINO Enjoy the excitement of the Eldorado Resort Casino, where personal service and cutting edge gaming technology go hand in hand. Get detailed info on our table games, login to the Player's Club, or sign up for high-stakes poker and slot tournaments. GEO-TARGETED CONTENT Enjoy location-specific content that changes depending on where you are. Unlock special offers once you’re within a few miles of an Eldorado Resorts property. ACTIVITIES & ROOMS Check out the event calendars to see what’s happening at a location near you. Grab tickets to shows, concerts and festivals or book a suite at a special price -- right from the app. RESTAURANTS, CLUBS AND LOUNGES Find award-winning culinary delights at all seven properties. Make dining reservations, review restaurant menus and discover the perfect cuisine for your evening out! MEETINGS For group meetings and events, attendees can see private, passkey-protected content exclusively for them. Access up-to-the-minute event schedules, programs and materials, speaker bios, break-out room agendas, convention maps and more. FULL SERVICE DIRECTORY Need to contact housekeeping? The front desk? Lost and found? The app connects you instantly. TWITTER, FACEBOOK AND OTHER SHARING INTEGRATIONS Check out the Eldorado’s live Twitter feed or Facebook wall right from the app. …AND MUCH MORE! This app crashed 4 times when I was playing Super Monopoly. The crashes always occurred during the bonus wheel as soon as the “Press to Spin” button was pressed. I’m sure I lost a lot of credits because of the crashes. 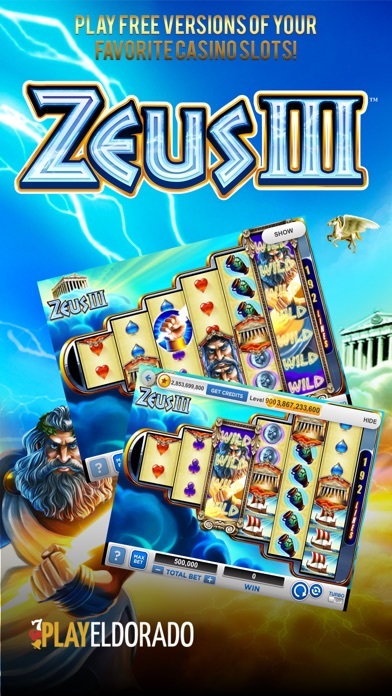 Games are fun to play but App crashes when bonus rounds, free play or jackpots are won. I can get access on the laptop, but the iPhone version won’t allow me to get past the resort/casino screen. I’ve deleted and re-downloaded the app 2x, still doesn’t work. Each time I won the app froze and I had to restart. Can’t believe a company would put its name on this junk. This is one of my favorite apps. And i normally have no complaints. But i was playing tonight and won free spins in the beerhaus game. And got kicked out to the lobby and when i went back in my free spins were gone. I know it's not real, but still, i want my free spins when i won them. Love the app except every time I get the bonus on Bierhaus or some others it crashes before the first free spin.